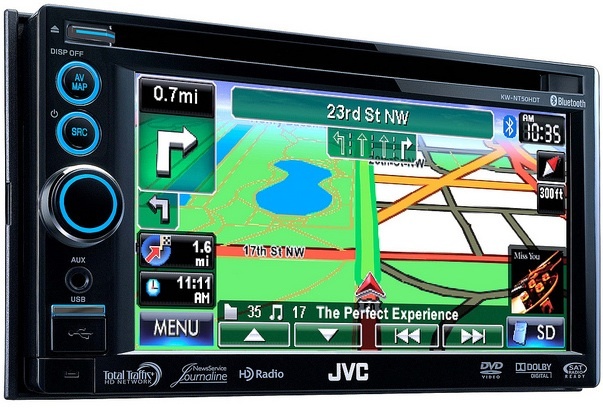 JVC just announced two 6.1″ VGA display A/V navigation systems with built-in HD Radio for 2011. Newly added is connectivity with the iheartradio iPhone application by ClearChannel. 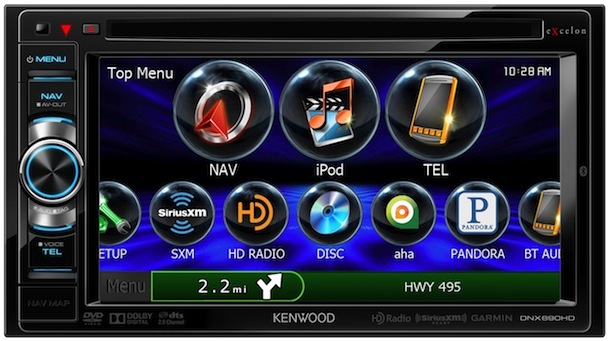 After being downloaded to an iPhone, the iheartradio application can be used via USB connection to JVC Mobile Entertainment's two A/V navigation units, the KW-NT30HD and KW-NT50HDT. Once connected, users will be able to view song and artist information, high-resolution album artwork, and control channel up or down functions from the navigation unit or from the iPhone itself. 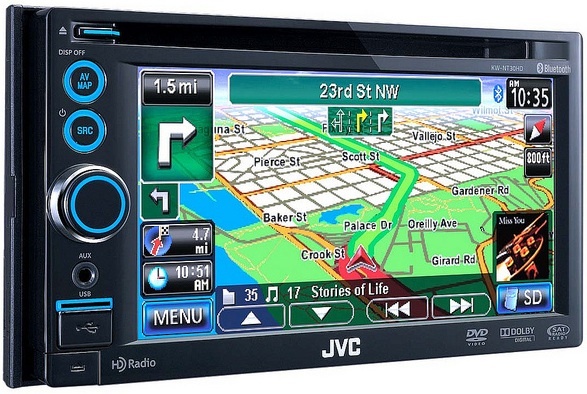 JVC Mobile Entertainment's KW-NT50HDT navigation unit will include a free lifetime subscription to the Total Traffic HD+ Network, giving consumers on-screen access to data services such as: traffic information, news, sports scores, and weather information. The KW-NT50HDT will feature a built-in dual HD tuner system, which has the ability to feature audio content on one tuner and HD Total Traffic Network Data on the other. This allows the consumer to listen to radio programs and also receive traffic information at the same time. The KW-NT50HDT will also feature Hybrid Total Traffic HD+ Network functionality which enables consumers to get HD Total Traffic Network service in more areas. When connected to an iPhone, using the iheartradio app, the KW-NT50HDT receives news, sports, weather and real-time traffic information over your cell phone network- even outside of HD radio coverage areas. Besides quality digital sound, HD Radio also offers iTunes Tagging a smart feature also available on both receivers letting users tag songs they hear over HD Radio broadcasts for easy purchase at the iTunes Store. 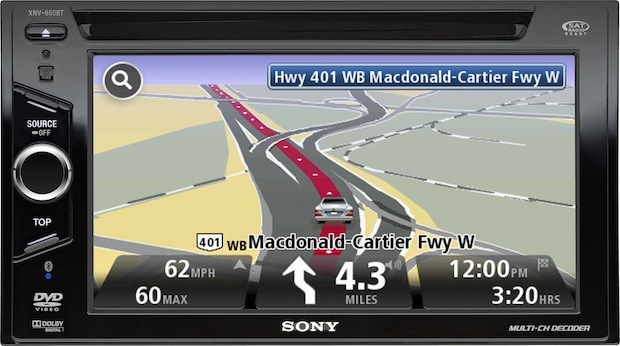 Both models feature the highly reliable Windows Automotive OS, quick start-up, and P.O.I. updatable with Google Maps. 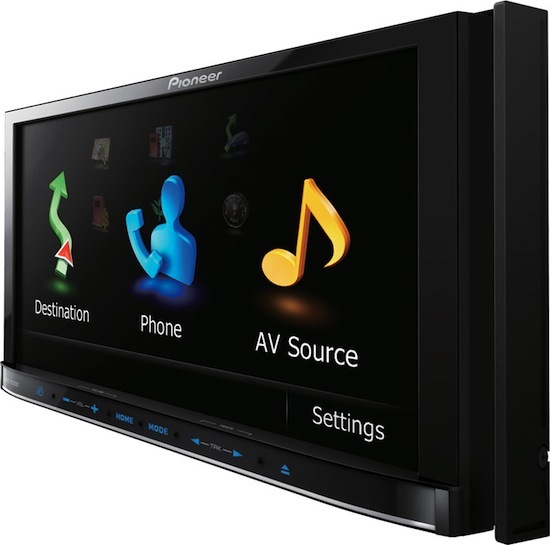 Other features include Bluetooth Wireless Technology, iPod/iPhone audio and video playback, detachable face panel, and a user-friendly interface. Through the use of StreetDirector Assistant, updated P.O.I. data can be obtained from Google Maps. An included wired microphone offers flexible settings for clear communication using Bluetooth® wireless technology. Phone Book Access Profile (PBAP) for iPhone lets users automatically access their phone book on most connected cell phones without manual transfer. Users can also manually transfer up to 500 numbers from compatible cell phones. Switching from hands-free to a private conversation or taking a call via call waiting can also be done by a single-key operation. Other key features for the KW-NT30HD and KW-NT50HDT include a detachable faceplate, which allows users to remove it and hide or take it with them in the included case to guard against theft. Variable-Color Illumination provides 8 preset colors, two user settings from an available pallet of 30,000 colors selectable by RGB combination. 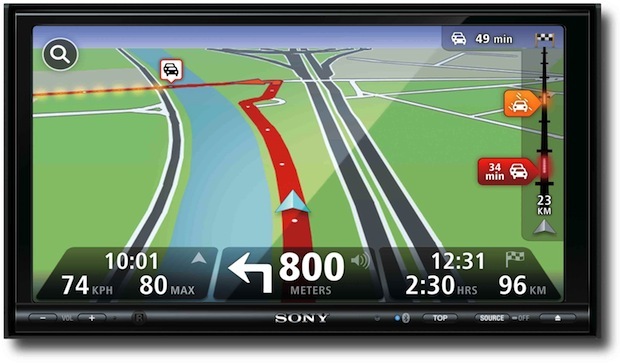 Navigation features include map coverage of the U.S. (including Alaska and Hawaii), Canada, and Puerto Rico, high-sensitivity WAAS enabled GPS for accurate navigation, over 6 million P.O.I. data from infoUSA, and quick start up in less than 15 seconds. Both Text-to-Speech and voice guidance are available in English, Spanish, and French. 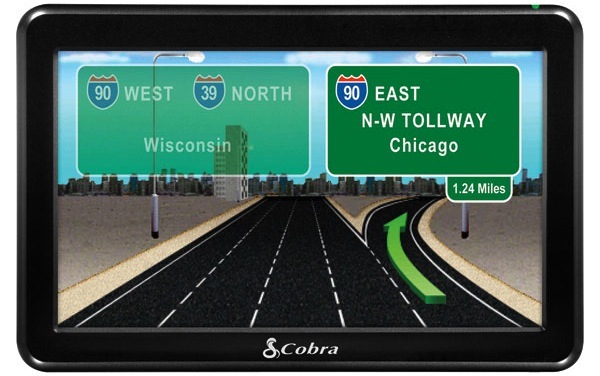 Other useful features include magnified view, Lane Guide, Speed Limit Display, Speed Alert function, and brand P.O.I. icons. You can search from various options including P.O.I. (name/vicinity/phone number), address, zip code, coordinates, and 100 favorite/last 50 destinations. The user-friendly touch panel is based on Grid-Layout Design, with consistent key position for each screen. Hard keys are also available on the frame for instant access to frequently used functions. With both AUX and USB on the front panel, users can listen to your iPod/iPhone by a USB digital connection, or even enjoy video content with an optional KS-U39 cable. Connection for other digital audio players is available via the AUX input. 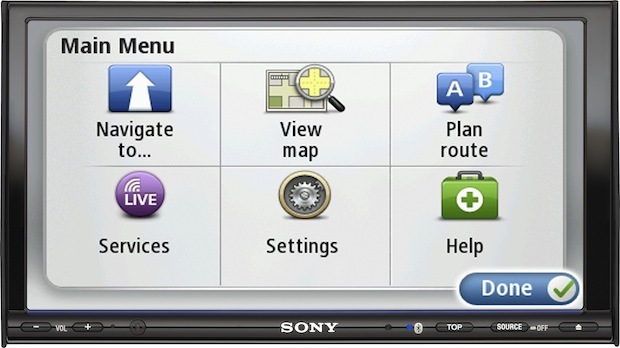 Both navigation receivers play MP3 audio files from DVD/CD/USB/SD sources. Menu and song information are available in English, Spanish, and French. Adaptive Volume adjusts the volume level according to your car speed in 4 (off/low/mid/high) settings, for both navigation and AV sound.